A recent study shows that Bisphenol A (BPA) and other common estrogen-mimicking chemicals are bad news for men who would like to father children. The study, conducted so far only on mice, found that industrial chemicals are possibly affecting sexual development in newborn male mice, including lower sperm counts that lasted a lifetime. Pat Hunt, a molecular biologist at Washington State University and co-author of the study tells Huffington Post, “We’re seeing more and more guys who have low and troubling sperm counts. There’s a hypothesis now that this might be due to these estrogenic exposures to the male testes — because it’s not just sperm counts that seem to be changing.” Hunt notes that other problems such as testicular cancer, undescended testes and other abnormalities in male genitalia are being seen more often than they used to. This is not the first study to show that fertility and other health risks occur when humans are exposed to harmful chemicals. Past studies link BPA exposure to prostate cancer, decreased IVF success, and poor overall reproductive capabilities. Other research has shown that one in three harmful chemicals (out of 96 tested) significantly change how sperm swim. Hunt notes that around 40% of young men in Denmark have low sperm counts and the U.S. has seen similar trends. For men who one day might want to become a dad, exposure to chemicals may have sad repercussions. If you’re concerned about your exposure to chemicals, read up on how to lower your BPA levels in just days. A recent study shows that�Bisphenol A (BPA) and other common estrogen-mimicking chemicals are bad news for men who would like to father children. The study, conducted so far only on mice, found that industrial chemicals are possibly affecting sexual development in newborn male mice, including lower sperm counts that lasted a lifetime.�Pat Hunt, a molecular biologist at Washington State University and co-author of the study tells Huffington Post, "We're seeing more and more guys who have low and troubling sperm counts.�There's a hypothesis now that this might be due to these estrogenic exposures to the male testes -- because it's not just sperm counts that seem to be changing." Hunt notes that other problems such as�testicular cancer, undescended testes and other abnormalities in male genitalia�are being seen more often than they used to. This is not the first study to show that fertility and other health risks occur when humans are exposed to harmful chemicals. Past studies�link BPA exposure to prostate cancer, decreased IVF success, and poor overall reproductive capabilities. 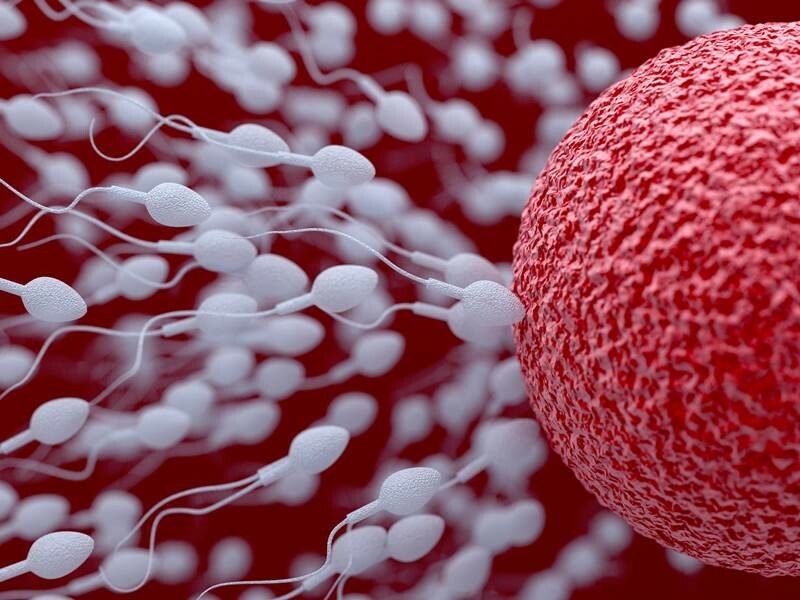 Other research has shown that one in three harmful chemicals (out of 96 tested) significantly change how sperm swim. Hunt notes that around�40% of young men in Denmark have low sperm counts�and the�U.S. has seen similar trends. For men who one day might want to become a dad, exposure to�chemicals may have sad�repercussions. �If you're concerned about your exposure to chemicals, read up on how to lower your BPA levels in just days.